Increased road closures are taking place due to the ongoing gas line construction by Fortis BC. The closures, which began earlier in the spring, have been causing delays and commuter chaos for countless drivers across the lower mainland. An additional closure has taken effect on East 1st Avenue. Rupert Street to west of Boundary Road is undergoing a partial closure and is being reduced to one lane moving eastbound. The closure began on Tuesday, August 7 and is expected to carry on until early September. 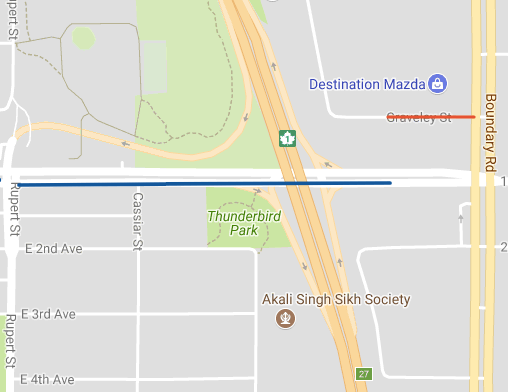 Drivers moving westbound on East 1st will be able to access the westbound Highway 1 on-ramp without any trouble. In addition, Victoria Drive will undergo a full closure from Graveley to East 2nd Avenue from Saturday, August 11 to Wednesday, August 15. 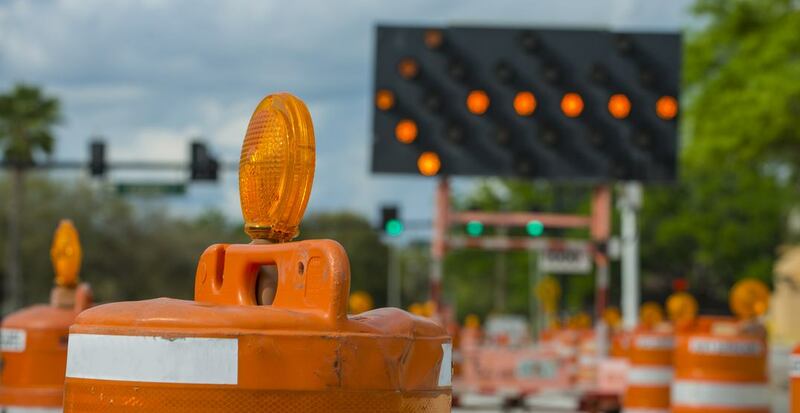 The intersection of Victoria Drive and East 1st Avenue will be completely closed, although access for residents and to businesses on Victoria Drive is expected to be maintained. 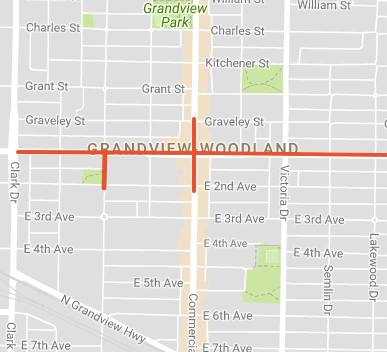 “Local traffic only” measures will be in effect between Hastings and Gravely and between East 2nd Ave and Broadway. Construction runs from 7 am to 8 pm on weekdays; 9 am to 8 pm in Burnaby on Saturdays and Sundays. All closures are expected to re-open towards late August and early September.